Pony Artist loves the beautiful windsocks people put in their yards. When I offered the chance for her to make her own she was extremely excited. 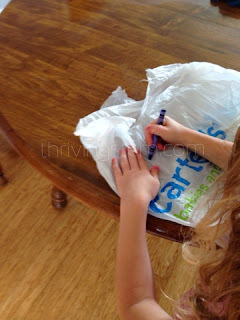 First, she used the crayon to color the bag. 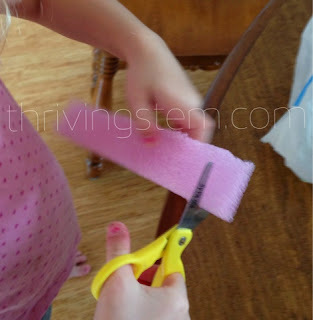 Then she cut up some pink foam to use as a decoration. Initially, she asked for paper. It was a great opportunity to talk about what would happen to paper in the rain, and discuss what material best suited our project. The Pony Artist showed me where she wanted the foam, and I used the hot glue gun to attach it. 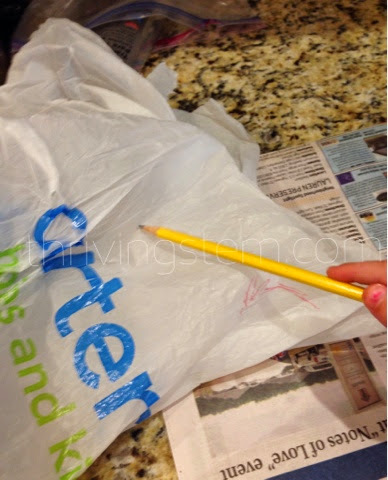 We put the newspaper in the middle to keep the sides of the bag from sticking together. On one side she chose a random design. On the other side she decided to glue a piece of foam on each letter. We talked about the sounds as we worked. 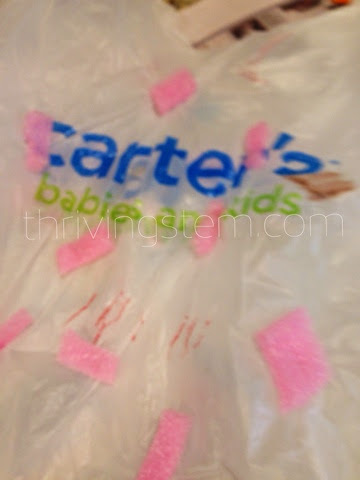 When we finished, she cut off the bottom of the bag. I glued rubber bands on two edges. 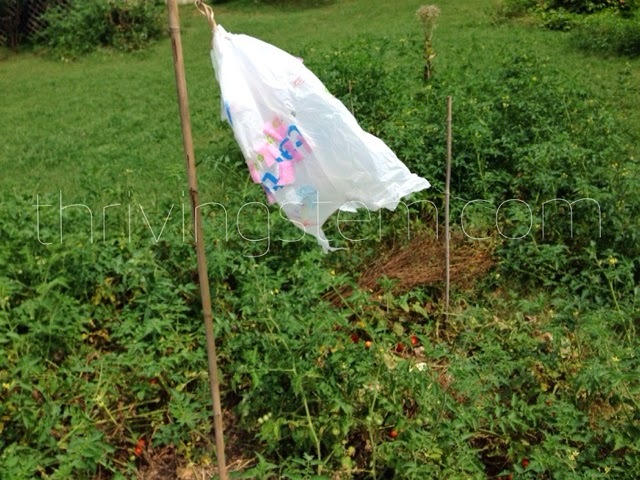 Using the twisty tie we attached the bag to a bamboo pole in our garden. Now, the Pony Artist enjoys going outside to check the wind speed. This windsock picks up the slightest breeze, a rewarding result! At our stage, this is a great weather study tool. For older kids, calibrating the windsock to actual wind speeds would be a fun extension. 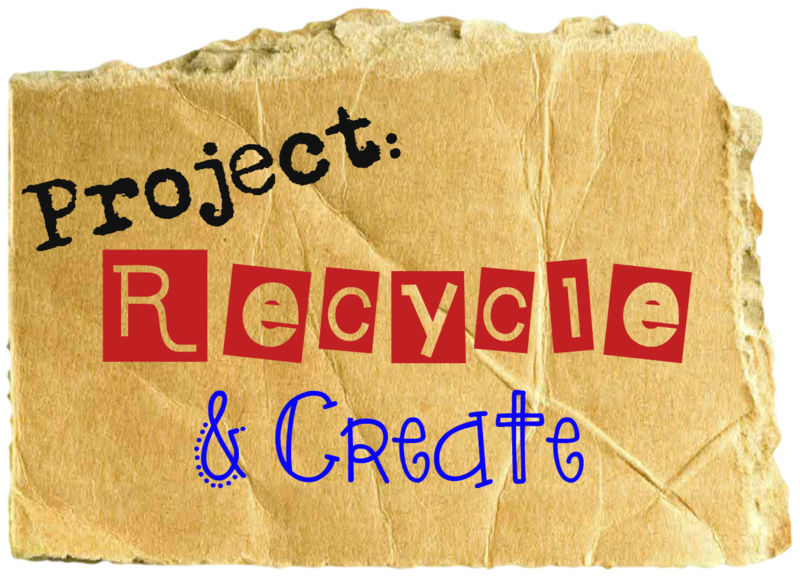 Each month we look forward to project Recycle!Create! 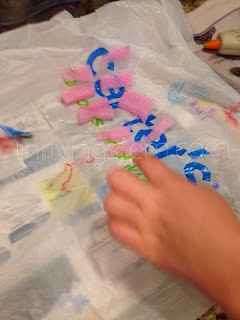 where we use a common material to do a project with or for our kids. It is a great opportunity to build environmental awareness by slowing down to notice how useful the things we throw away can be. It also can be a great way to talk about the composition(chemistry!) of different materials. Learn more about Project Recycle !Create!. 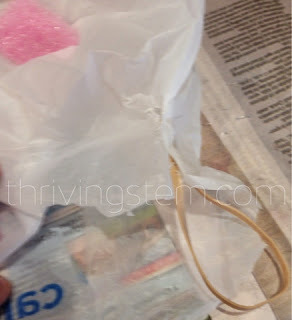 Or link up your own shopping bag project. Easy and instantly rewarding because result shows right away! :) Good thinking! I love how she really got to make it her own! Great idea! Thanks Emma! It was fun to watch her take ownership. I love that this project is one anyone could do with common household items...I have pinned it and will be doing this with my boys :). Thanks for the fun idea! Hi Judy! I hope they enjoy it. Let me know if you come up with any good extensions.